Within minutes of Mick McCarthy leaving his Essex home on Wednesday morning for a five-hour drive to a dinner in Sunderland, Martin O'Neill's term as manager of the Republic of Ireland ended after five years in charge. O'Neill's swift departure after the goalless draw in Aarhus surprised everyone, including his fourth-removed predecessor and likely successor. No surprise that McCarthy's mobile was buzzing for the entire journey. Most of the text messages he answered on his arrival in Wearside were from ex-players and journalists, some long forgotten. At that stage, John Delaney and the FAI had not been in touch, but the ink was still drying on O'Neill and Roy Keane's substantial withdrawal agreements. We had arranged to meet, pre-match, for coffee and a catch-up in the hotel next to the Stadium of Light. That arrangement had been made weeks ago, and my original intention was to ask, as he prefers, face-to-face, to write a piece about his wait for a new job, whether the increased media profile was part of the plan and, yes, if he really wanted the Ireland job again. I knew it would be post-Aarhus and the outcome might harm my chances. His successor Paul Hurst had just been sacked by his former club Ipswich Town when we spoke and there were other Championship managers fighting to stave off the same fate. It is a cruel waiting game and McCarthy has also been a loser in it, but he had to play it if he wanted another crack at management. And he did. Sixty in February, McCarthy has been active and very effective in the media since the World Cup finals, a breath of honest fresh air in TV and radio studios and, as the night in Sunderland and numerous others have proved, he is very popular with the public. But it is club owners, chief execs and chairmen you need to impress. "I can't sit on my arse at home waiting for the phone to ring," he said. "The game has changed and you have to adapt. I know the name Mick McCarthy, and my record, is not enough. You are quickly forgotten, and with so many foreign owners, they are looking abroad for younger coaches. "So you have to get yourself out there and I understand that. I enjoy it, love going to games, being part of a team, and the feedback has been very positive. Foreign owners come in and might not know who I am, I get it. You have to keep your name and face out there, as ugly as this face is. "There was a misconception that I had retired but I didn't want to be out of football in the first place. I am hungry to get back in but, unfortunately, that does mean someone losing their job, which is sad. You do know in this profession that jobs will come along. Whether you get them is a different matter." I didn't need to ask the Ireland question but I did anyway - and of course he bloody wants the job. "And if I don't get it now, I never will," he told me and the enthralled audience later that night at the dinner, which got another laugh in his brief, to-the-point answer to host Phil Hourigan's question on his prospects. Phil: "I have interviewed hundreds of sportsmen and women over the years and Mick is one of the best. He is an absolute gent, brutally honest, incredibly passionate and tremendously funny." Mick McCarthy's week started with Denmark versus Republic of Ireland. Never a casual TV viewer, he was an Irish supporter, more than a little frustrated with the team. A lack of chances created. More importantly, a lack of passion. If only his dream job were his again. On Tuesday evening, after a chippy tea at home with wife Fiona, he was researching for that dinner in Sunderland the following night. Appointed manager of Sunderland 15 years ago, he lasted just under three seasons. As was the case for most of his club career, McCarthy was asked/told to scrimp and scrape for signings by his board, and duly obliged. His notes on Sunderland brought the memories, the signings and the departures flooding back. He goes through the names who eventually helped win promotion from the Championship at the second attempt after chairman Bob Murray finally followed Peter Reid's advice on his departure and appointed McCarthy, four months after his exit from the Ireland job. Murray had initially preferred to listen to Howard Wilkinson, who recommended himself and lasted just five months. Sunderland made more than £14m in transfers in the summer of 2004 - internationals Kevin Phillips, Kevin Kilbane, Gavin McCann, Thomas Sorensen, Jody Craddock and Claudio Reyna all left the sunken ship - and McCarthy remembers clearing out Tore Andre Flo, Andy Gray, Emerson Thome and Lilian Laslandes on frees and loans to trim the wage bill. And he relied on frees and loans to rebuild. Jeff Whitley, Gary Breen, Tommy Smith, Alan Quinn, Kevin Cooper, Darren Byfield, Colin Cooper, Carl Robinson and teenage loanee Stewart Downing were signed in the first season. Hardly names to strike fear into the Championship, but Sunderland finished third, losing in the play-offs to Crystal Palace. More freebies followed the next year - Stephen Elliott, Dean Whitehead, Liam Lawrence, Steven Caldwell included - and Sunderland won the league. "When you look at some of those names, it's a bloody miracle we went up," he says. "But we must have done something right." In the weeks after promotion, McCarthy met chairman Murray in his London offices to discuss the budget for Sunderland's return to the Premier League and his first real attempt at the big time. It is £6m, including wages. He reels through some of the signings again. Kelvin Davis, Jon Stead and Gray claimed £4m of the budget and made little impression. Anthony le Tallec joined on loan from Liverpool. "No wonder I got the sack," he says. He repeats the joke to a delighted, packed room in the Victoria Hotel. His ability to laugh at himself, while defending his record and explaining the circumstances, will have surprised any cynics in the crowd who have different memories of the McCarthy era at the Stadium of Light. It is a miracle he succeeded and survived. The story was to be the same at Wolves and Ipswich. The ability to work with the tools provided has always been his greatest asset and the 2002 Ireland squad he built thrived on the opportunities he gave them. As well as the obvious names, a thorough examination of any player remotely Irish in Ireland, the UK and beyond is on the cards. When the former captain took over as Ireland manager from Jack Charlton in 1996, it was an ailing and ageing squad which needed time and was to suffer disappointments. Now, other than Jon Walters, he inherits no players on the verge of retirement, while others such as Aiden McGeady - now at Sunderland - are in their 30s and enjoying football again. McCarthy was never afraid to spread the net wide, or put faith in youth. Robbie Keane and Damien Duff were teenagers when McCarthy gave them their Ireland debuts; he helped them evolve into Ireland icons, and took a cohesive unit to the World Cup finals. The immediate need for results and performances to improve and qualify for the Euro 2020 finals will not deter McCarthy from giving youth a chance again and restoring that belief and unity. After spending five minutes with McCarthy on Friday, John Delaney was convinced he should return. McCarthy cancelled a scheduled appearance for this morning on Chris Kamara's Goals on Sunday on Sky Sports after booking his flight to Dublin. The FAI initially announced the wrong day for his press conference. He has been away for 16 years but some things, he may conclude, will never change. When he felt relaxed enough to leave the phone, and enjoy his very warm flat white, as usual, we talked families first before I dropped the I-bomb. I knew what he had to say would not go on the record. 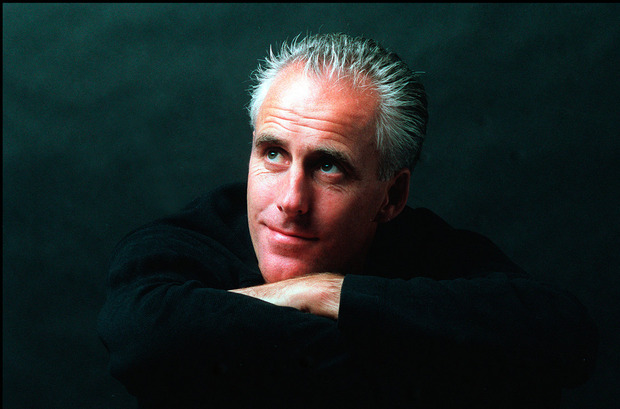 Mick McCarthy hates 'exclusives' and would rather share his thoughts with everyone or no one. But, as we assessed the squad, the potential new manager extolling the virtues of players whose Ireland careers have stalled and throwing in names cast aside in recent squads, sorry Mick, but I had to mention it. Not Irish, never a player, but even I got excited. He will make time to see every Irish player at his disposal over the next four months, spreading the same enthusiasm and belief. And yes, as he will confirm to the media when he is unveiled, that includes Declan Rice. "First call," was the message to his loyal lieutenant David Bowman, whose own call had interrupted the boss's flow. As the man whose contacts and knowledge unearthed countless League of Ireland gems signed by McCarthy, including Stephen Ward and Daryl Murphy, Bowman already knows the potential in the Irish ranks. There are many like him in Ireland and the UK who will be delighted to see McCarthy back and willing to share their own expertise. And they're not daft. They have seen the criticism and lazy analysis of McCarthy's credentials and his return. After his premature but inevitable departure from Ipswich, he and Fiona enjoyed a deserved, fulfilling break for a few months before he settled into the commentator's chair for the World Cup finals. A new agent recommended the fresh approach and McCarthy was the star of Talksport's summer coverage. He has been at a game every weekend, usually for Sky or Talksport, since. When he sits down at the table in the Aviva this afternoon, he knows one or two brave souls will go down the old route to Saipan. But he parked that 16 years ago, buried every hatchet, eventually. Truth is, he couldn't give a toss about it and it is irrelevant now. He'll say something along those lines today, I imagine. This is the Mick McCarthy who even hugged Eamon Dunphy last month as part of his media charm offensive and told him of the "shite" relationship with you-know-who. Not charm, really, just Mick being Mick. And certainly not offensive. And as he told his old foe that night, "if, in two years' time, their (O'Neill and Keane's) contract is up, and the job is available, and I am out of work, I would love it again." The slate could not be cleaner, nor Ireland's immediate fate be in better hands, their future shaped by a proud Irishman who is extremely keen to leave a lasting legacy, as he will tell the Irish public today.